I had actually never even heard of this show before even though we do get the channel it plays on but I hadn't really watched that much television last year. I wasn't really expecting liking this show at all since I am super picky when it comes to comedies and I actually don't like many comedies but I decided to give this show a try. I watch the full season one in 2 days and I did enjoy the show and I did laugh a bit but I didn't find this should hilarious. The acting was ok and story was good but I don't think this is a show I will watch every week. There are other shows on the same night and time slot that I want to watch more than this show. Maybe if my other show is on reruns I will watch this to entertainment me. I know a lot of people love this show but it just isn't something that I will be watching on tv this season. 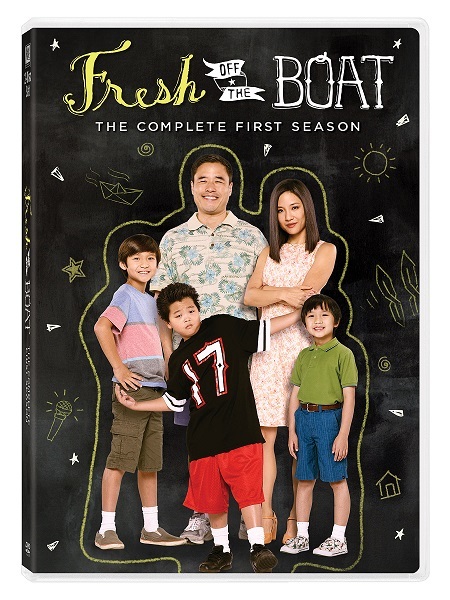 Fresh Off The Boat season 1 is now available on dvd in stores near you.